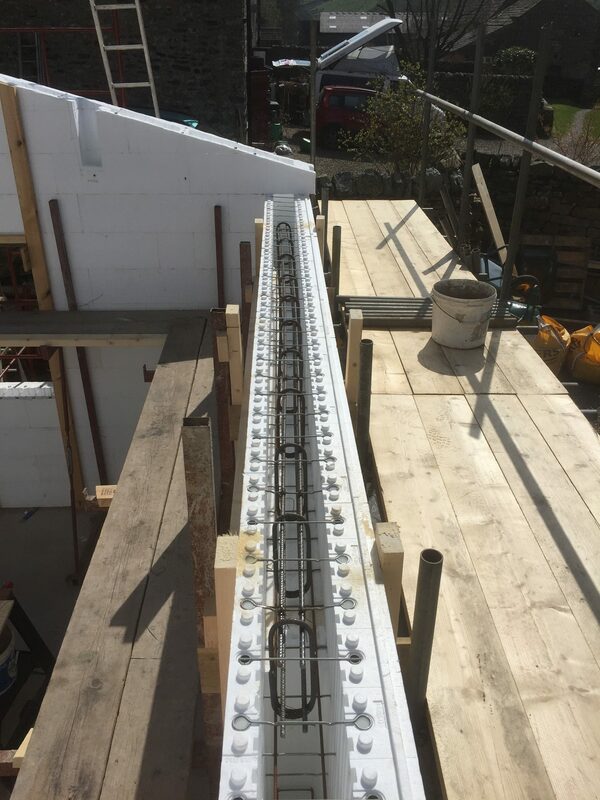 ICF Delivery route: self-build by the homeowner after taking initial training and on-site supervision. 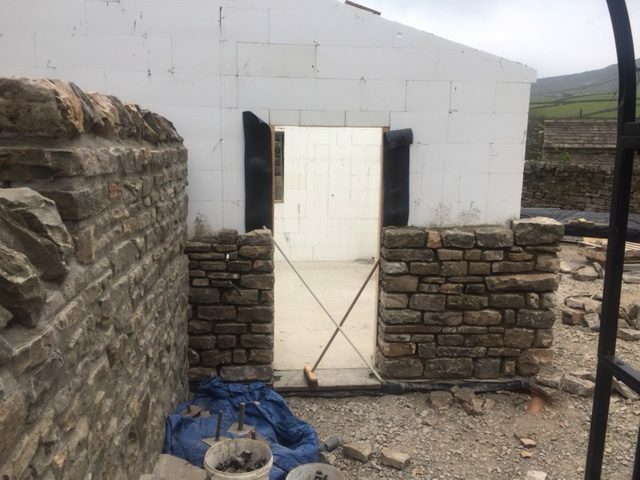 From the outside, its classic Yorkshire stone facade conceals the ICF structure. 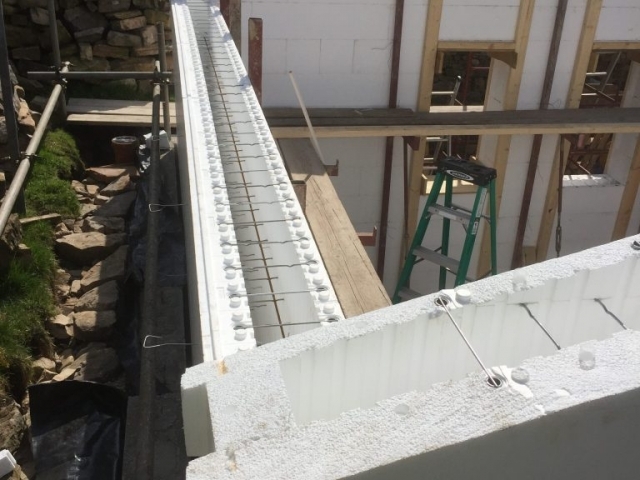 Building an ICF garage is a great way to cut budding self-builders teeth on a project prior to committing to a full build, or you may just require the space. 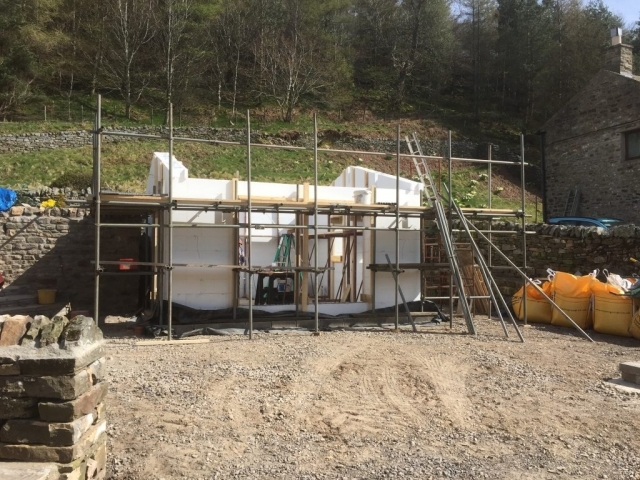 To undertake a self-build approach Linton DMC will never simply sell the product. 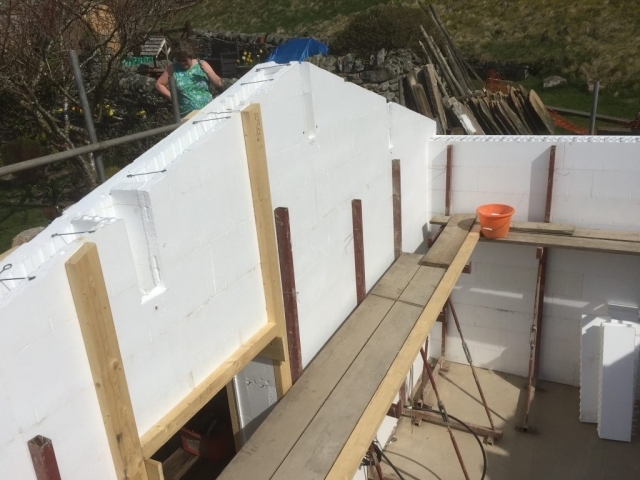 We are proud to be the sole distributor of Rhodipor Ecobuild ICF and we want your experience of using it to match our high expectations. To avoid issues on site all persons must attend one of our informal courses. 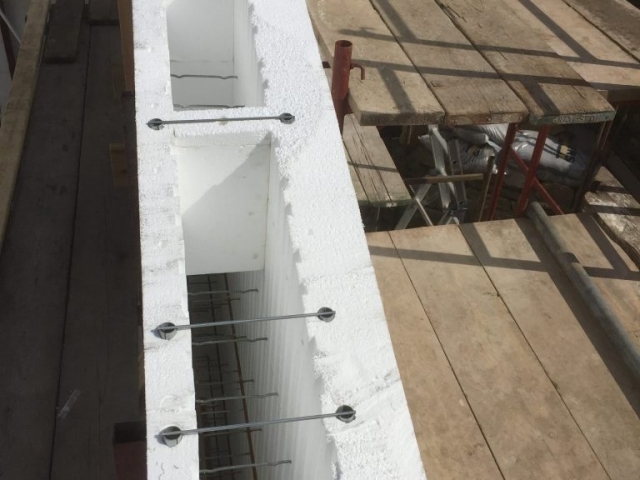 This does not mean you will not be supported beyond this, we offer further site support, undertaking pour days as well as on going telephone support and email. 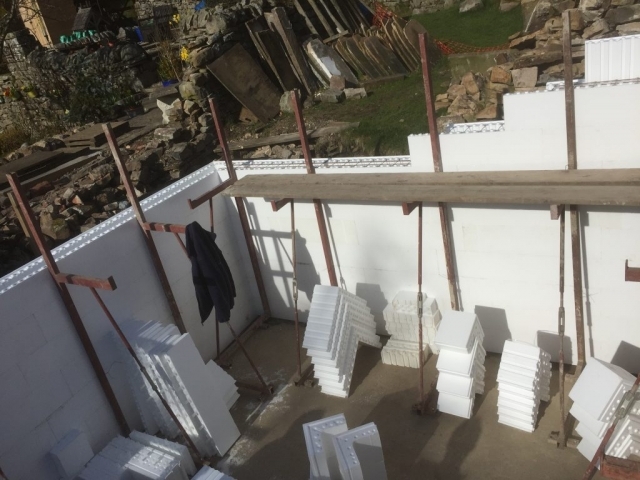 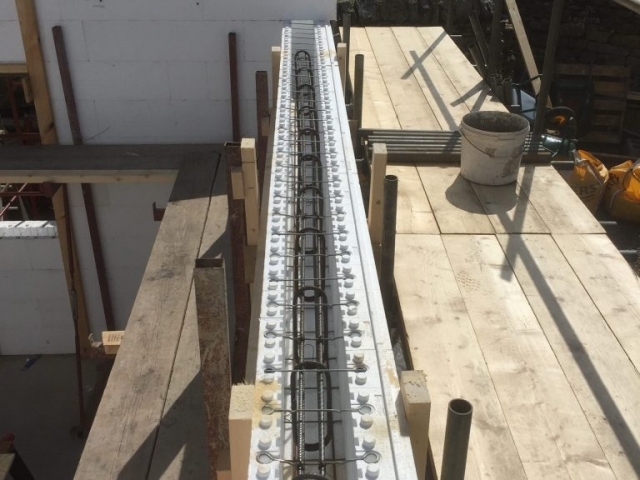 When undertaking an ICF course we will request that you bring drawings and site photos so that we can understand the site constraints, and tailor our training to meet your needs. 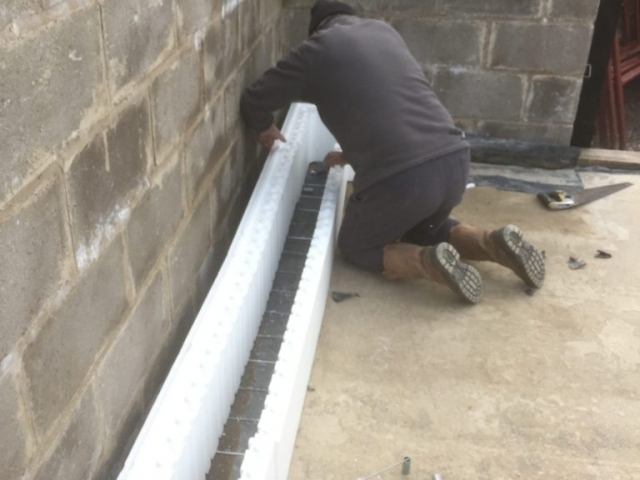 In this case study, we met homeowners who attended a homebuilding and renovating show they wished to undertake an ICF self-build garage in Yorkshire. 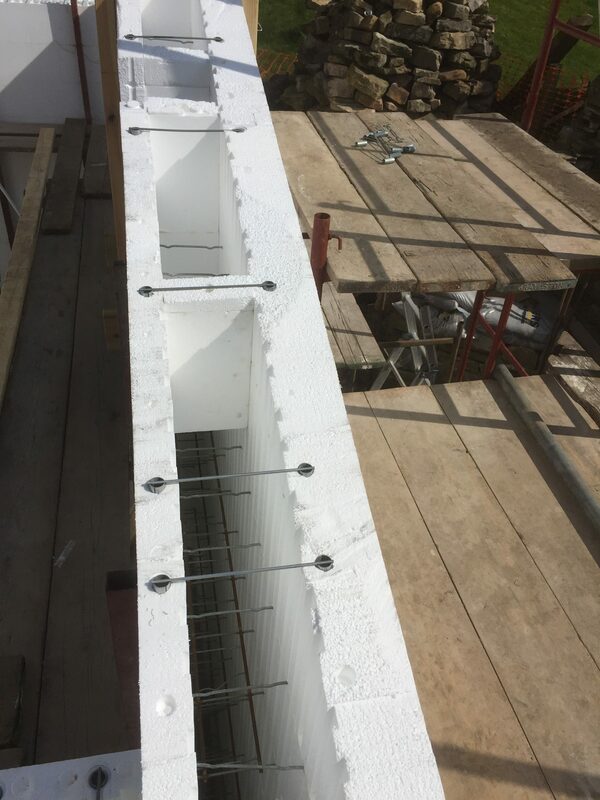 Upon being advised that the floor slab had been constructed the order was placed, and the material was sent direct to site within ten working days. 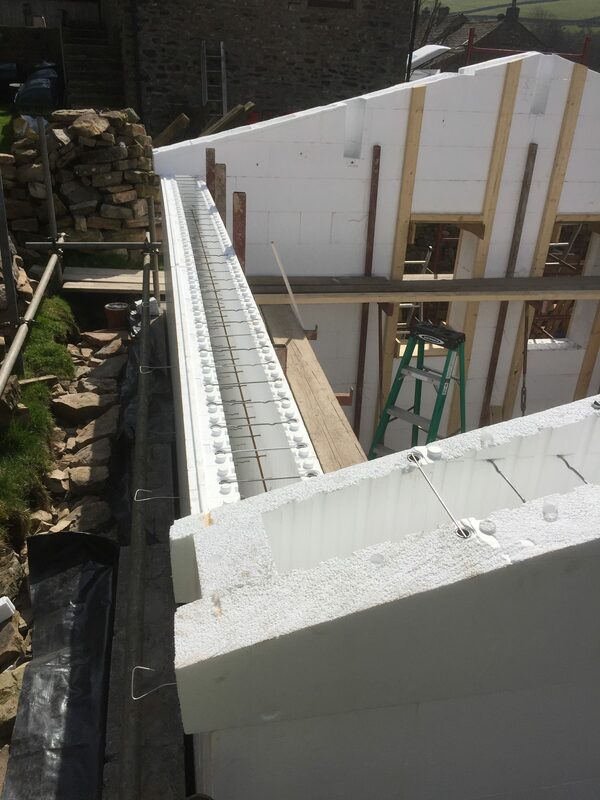 Following the delivery, we attended site transporting the ICF bracing props for the build. That day we aided in the setting out the ICF further explaining the best practice and use and worked with the client to build the walls. 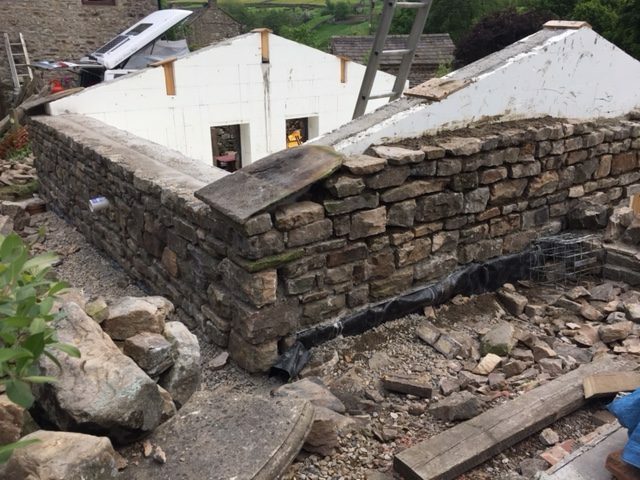 When attending site we are not there simply to direct we are there to help you build. 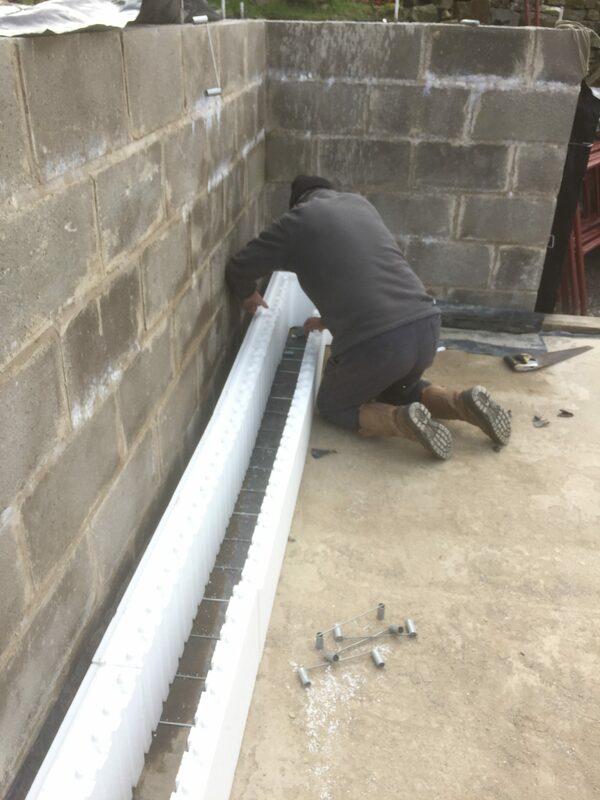 This isn’t just a garage! 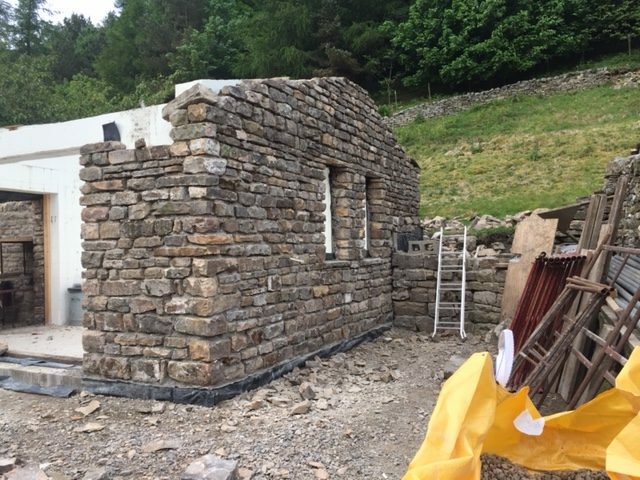 But a comfortable space to work outside in the winter months.